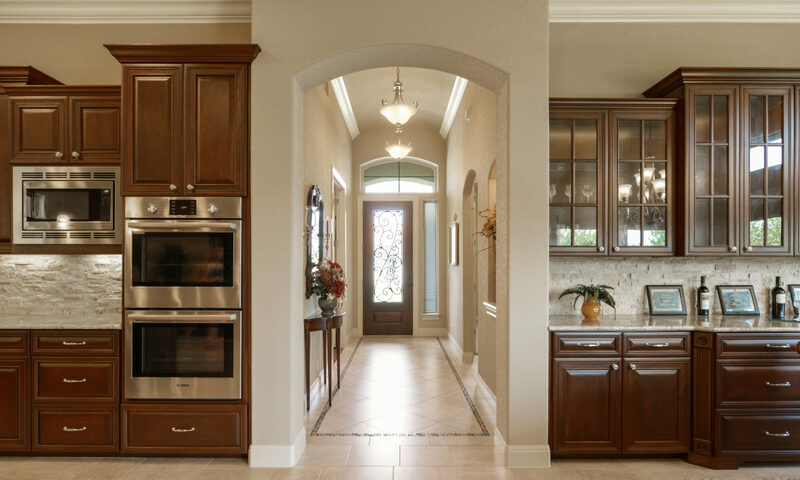 John Connell is a second generation custom home builder growing up in San Antonio. He began his career in the early 1980’s working with his father earning his experience and reputation in all aspects of home building and the industry. He believes that your custom home should be beautiful, comfortable and have lasting value. To create a home that’s tailored to your lifestyle. We build just a few homes at a time, allowing us to give our clients the time and attention they deserve and the quality that’s expected. His passion is the lasting relationships he builds with his clients from start to finish and beyond, along with making the entire process a positive experience and for his client to simply have “fun”. Two gorgeous 1 acre lots with Hill Country Views available to build your dream home on. Starting in the mid 800’s. We will build on your own lot. Building in San Antonio and surrounding areas, including Fair Oaks & Boerne. We could not be happier with our experience building a home with John Connell. He was very easy to work with from the blue print stage to the final walk-through. He provided guidance when needed (and for us, that was often!) and was open to exploring lots of different options along the way. He was available to us literally anytime we had a question (despite having other projects, he made us feel like we were his only clients). He shared in our excitement and took so much pride in his work that you would have thought he was building his own home! When we started looking at houses to upgrade from our current home, I found one of John’s existing homes that was close to what I wanted and I knew when I saw the home that John could build thatÕs what we wanted. The workmanship and little touches we saw in his homes tempted us to the point where we contacted John about his available lots. Like most people we talked to friends and family who had built houses and we were hesitant to build until we met with John, his attention to detail and organizational skills put us as ease with the idea of designing and building our own home. He walked us thru each of his lots and discussed his vision of where each house would go on each lot. Again we were impressed with what he told us. We picked out a lot, and the planning stages began. John was very up front with us from the beginning, which was greatly appreciated. All I can say is building the house with John was the best decision we could have made, from beginning to end, he was up front and open with us about the whole process. From the foundation to the finished house, we were involved and impressed with John and the contractors he had working on our home. My agent, my husband, and I all have nothing but great things to say about John and our house. It turned out better than I could have ever imagined, and without the headaches you hear about when building a house, it was a home before we ever moved in. I felt like John took the same amount of care and time with my home that he would if it was his own, and that meant a lot to us. We purchased a custom home from John Connell Custom Homes in May 2006. Dealing with John was a pleasure both before and after the closing. He was committed to delivering a quality home. He answered our questions, performed additional customization, and worked to ensure we were happy with our home. The experience was so good, that when we decided to build a cabana with our pool, we wanted John to do the work. We got several other estimates, but in the end the decision to have John perform the work was easy. We received the same level of service throughout the cabana project and are just as happy with the results–Professional service, regular communications and no surprises produced a quality project on time and on budget. I highly recommend John to anyone considering a custom home. P.S. He even returns your phone calls promptly. That’s hard to find in a builder. We’re glad to help make your dreams a reality. Your vision is our priority.